John Carpenter's THE FOG Gets 4K Restoration Release! Good news for John Carpenter fans! 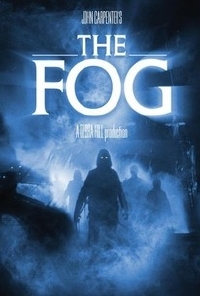 Carpenter's first movie post-Halloween, the Lovecraft-inspired horror The Fog, is coming back to theatres! The movie, which includes the all-star cast of Adrienne Barbeau, Tom Atkins, Hal Holbrook and the mother-daughter duo of Janet Leigh and Jamie Lee Curtis, unfolds in the seaside town of Antonio Bay where the creeping fog carries with it an ancient curse. Long out of theatrical release due to old, uncared for prints, Rialto Pictures has restored The Fog in glorious 4K and the movie will be making a long overdue theatrical appearance in October; just in time for Halloween. The Fog will see a limited theatrical release in NY, LA and Chicago on October 26. Additional screenings will take place during the week of Halloween throughout the Alamo Drafthouse locations and other specialty theaters.